Okay, so I've given you some time to have a read of my first post on Hong Kong. Now for the next bit. Chinese culture is so wonderful to me. I love everything about it. The dining, the city life, the fact that one day you could be in a shopping mall (even one with a rollar coaster inside) and the next, you're in the rural side of Hong Kong hiking in the hills. Being from here, I suppose I could be completely biased. As I started writing this particular post, I found that one place alone consisted of a load of pictures and yet I have so much more! Therefore, my trip to Hong Kong will be split into several different parts. I'm going to start off with visiting Ngong Ping Village. 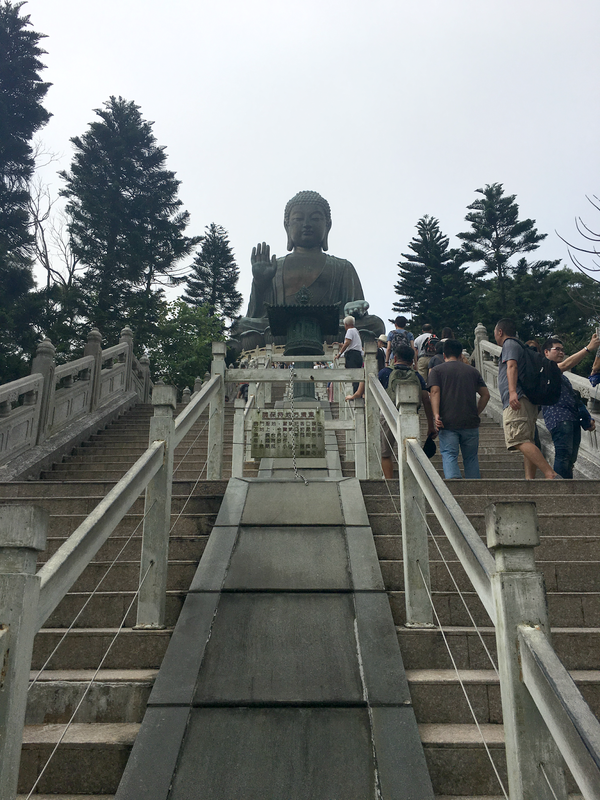 A village in the hills who's biggest highlight is the Tian Tan Buddha! Located on LanTau Island, the same island that hosts Hong Kong's Airport, Disneyland and Tung Chung, home to the city's largest Outlet. Getting to Tung Chung is easy. A simple MTR ride would take you possibly half an hour from Tsim Tsat Tsui. This is where you want to be if you want to get to this little treasure. You have two options, get a return cable car journey for $185 (about £18) or catch a coach there for roughly £1.50 and take the cable car back for cheaper! I opted for catching the couch. It was only a 40 min ride and we got to drive through surrounding country side with sea views to spare. The weather wasn't great so everything looks a little grey. So just bear in mind my pictures don't do it justice! It's a wonderful, quiet haven that just screamed culture! There are 268 steps which actually doesn't seem like a lot. OH BOY. Totally a different story when it's smoultering outside as the humidity is killer! Every step is worth it once you arrive at the top. The view took my breathe away. Or was it because we were practically in the clouds? Hmm. At the top, you are greeted with the big Buddha and it's surrounding view. Another 6 statues circulate the main stand providing offerings. Not only that, but underneath the Buddha are small shrines dedicated to peoples lost one's. Out of respect I didn't take photos. BUT I did buy myself authentic prayer bracelets that were blessed by monks. 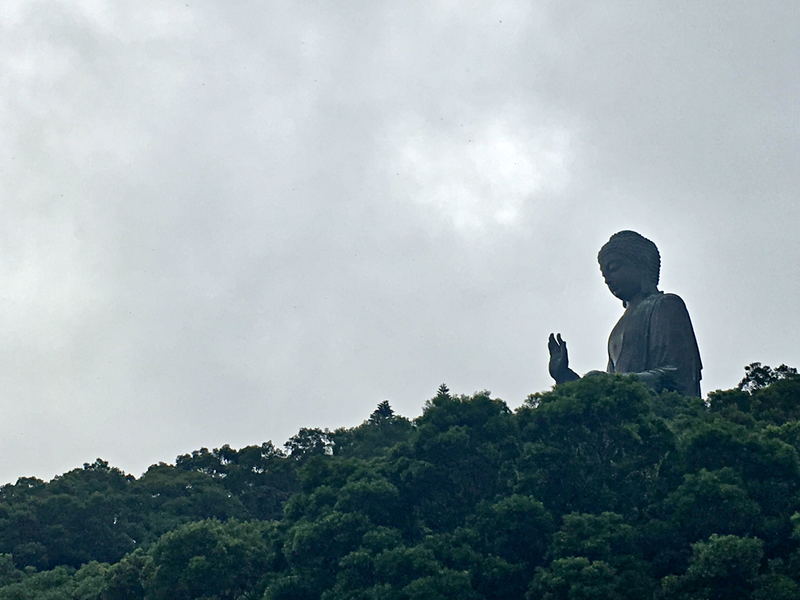 The money goes to the monks who try and keep Ngong Ping as wonderful as it is. 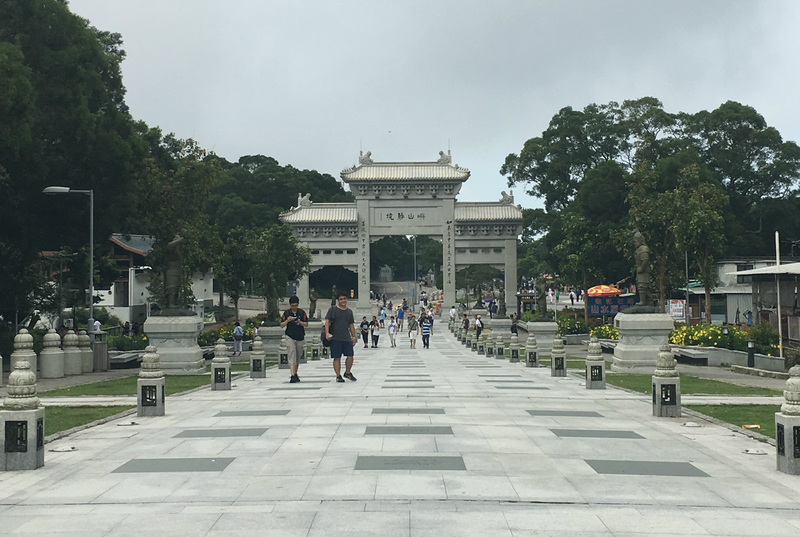 Ngong Ping is also known for it's Po Lin Monastery which you can actually overlook! Isn't it gorgeous? Po Lin Monastery is famous for it's room of 10,000 Buddhas. Once again, out of respect, I didn't take any photos. People do come here to pay tribute and monks do still wander on the grounds, including prayers everyday. Look at that architecture! Walking into the monastery was magical, everything was laced with gold. I did glare at a few people who thought apparently taking pictures was okay. Tut tut. But anyway, the detail! I can't cope. Goodness. 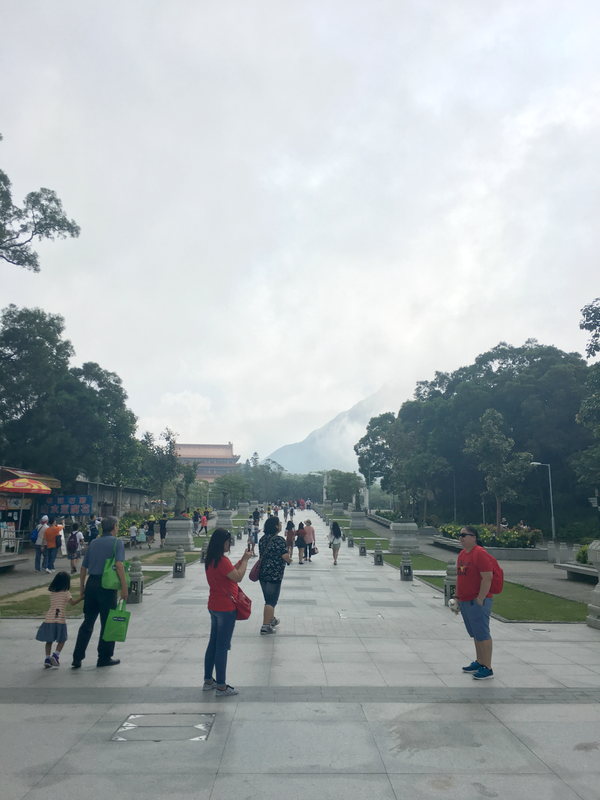 Can you believe there is still more to do at Ngong Ping? There are several hiking trails around the area. If you don't fancy a full on hike, which you can do, there are half an hour walks through the woods around the monastery that are just as wonderful. This includes finding enlightenment on the Wisdom Path. Just a short hike in the hills. I got goosebumps on arrival. 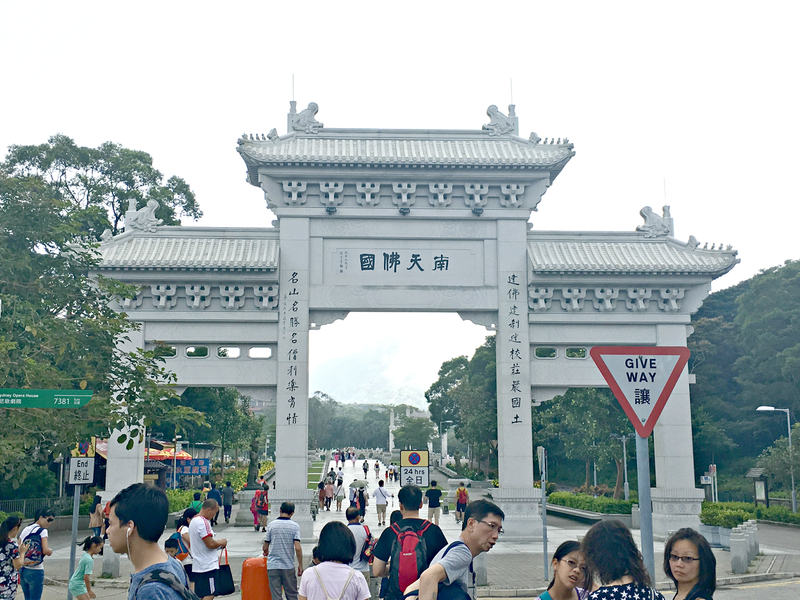 Overall, if you are looking for interesting things to do, going to Ngong Ping is a must. Full of cultural delight and beautiful sites, it's a favourite amongst tourists. I hope this little post helps you on your journey. Coming next - 10,000 Buddhas!